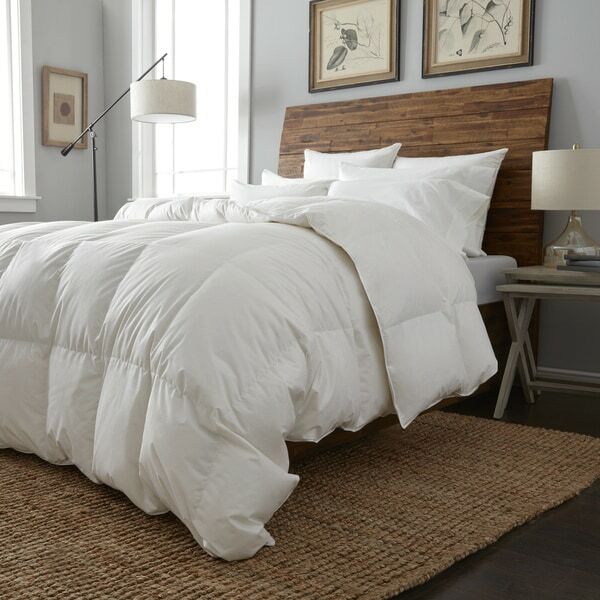 Stay warm and cozy all year round with this European Heritage Cologne down comforter. This luxurious comforter is stuffed with 650 fill power Hungarian white goose down and features a soft Tencel shell, so it can be used on its own or with a duvet cover. Best of all, the comforter is machine washable for easy care and cleaning. Love, love, love this. Well worth the $. I feel so spoiled when I go to bed. "Is this baffle boxed stitching?"